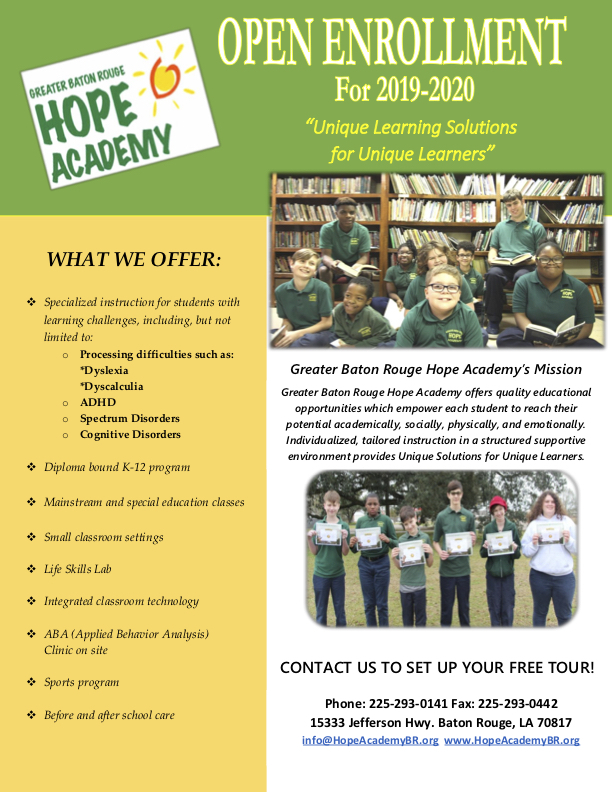 Greater Baton Rouge Hope Academy is a private, secular school providing a welcoming environment for all families. All students, from ages 5-21, including students with ADHD, autism, Asperger’s, dyslexia, Down’s syndrome, and others- experience small class sizes and an individualized curriculum in order to realize their highest potential. Did you know your purchases can make a difference? 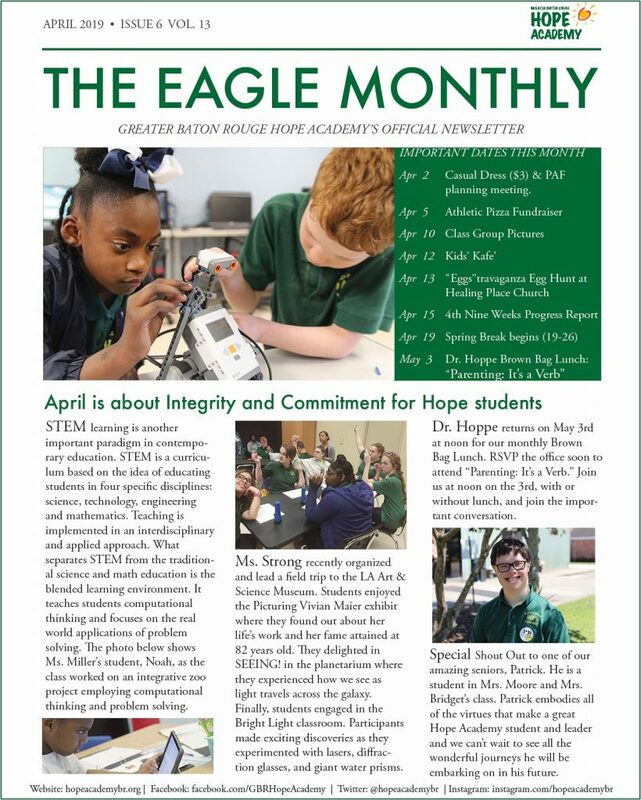 AmazonSmile donates to Greater Baton Rouge Hope Academy Inc when you do your shopping at smile.amazon.com. Remember to follow us on Facebook, Twitter, YouTube, and Instagram. — PLUS a comprehensive Resource Directory of disability-related services. You can search by zip code, child’s age, and services they need. Exceptional Lives also provides support for families through a phone helpline and e-mail. Today they’re launching 11 how-to Guides and a robust Resource Directory for the entire state of Louisiana. Visit la.exceptionallives.org to learn more!